We are counted as a prominent manufacturer and supplier of a premium grade Thermocol Die Moulding Machine. The provided machine is perfectly manufactured using supreme class components and ultra-modern technology under the strict guidance of deft engineers at our technically sound manufacturing unit. To ensure its high functionality, our quality auditors test this machine on practical parameters in compliance with set industry standards. Apart from this, our clients can buy this machine from us at industry leading prices. Incorporated in the year 2012, we “Rahul Engineering Works” are renowned and reliable manufacturer and supplier of qualitative array of Angle Board, Honeycomb Pallet, Thermocol Moulding Machine and Thermocol Foaming Machine. The packaging products and machines provided by us are manufactured as per the global set norms under the direction of our veteran and skilled team members. Packaging products offered by us are well known due to their light weight, reliable usage, moisture resistance properties, high strength and durability. On the other hand our offered machines are suitable for moulding and foaming of thermocol in an efficient manner. 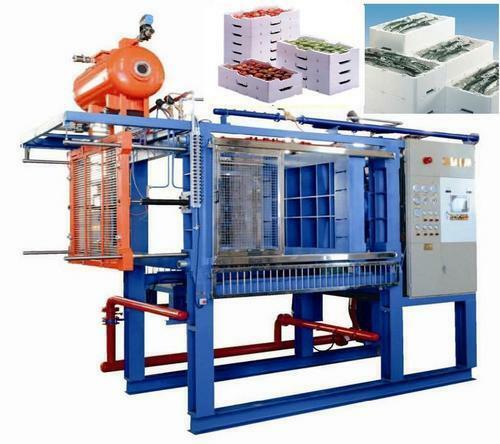 Offered machines are applauded due to their remarkable features such as high efficiency, rigid design, simple usage, low maintenance and long working life. As per the ever-evolving choices of the clients, we provide these packaging products and machines in several specifications. Offered packaging products and machines are also rigorously checked on different parameters in order to provide flawless and qualitative packaging products and machines to the customers. Besides, our clients can avail these packaging products and machines from us in large quantity within predefined time frame. Plot No.4, Malerna Road Ballabgarh Faridabad..